Art is sometimes ambiguous, but understanding what you are buying should be crystal clear. In my earlier days when I showed my artwork at outdoor art venues I saw a lot of customers and patrons purchase items and not understand the difference between original art, prints, editions, and essentially poster or wall art. Artists sometimes don’t help in clarifying these things. Maybe it’s because they are too busy trying to eek out a living selling their wares and making a meager living through their artwork. However I have never believed it’s a good idea to sell something based on assumptions or to keep the consumer in the dark about what they are really buying. I believe by not clarifying what artists are actually selling they are hurting themselves, their fellow artists and the consumers. I know many people that buy giclee’ prints or another words canvas prints. Because of how far printing on canvas has come people buy these canvas prints thinking it is a one of a kind original painting instead of a reproduction. This causes problems when the purchaser finds out his original painting is in fact a copy. This realization erodes confidence not only in the artist who produced the canvas print but the art world as a whole. It’s bad for artists and the art buyer. However canvas prints are not a bad thing, many artists produce a series of artist approved canvas prints. So what does it mean when you buy a copy? What is the difference between a copy and an original painting? These questions and others are answered in this article. It’s not only canvas prints that muddy the waters for art buyers. I also know people who purchase open edition prints or another words posters thinking that they are buying original works of art or another words original prints. Original prints are a series of prints approved by the artist for production or for reproduction. These prints are known as original prints. Again knowing the difference between open edition prints, limited edition prints, and artist proofs or artist prints will help you know what it is you are buying or how you are labeling your artwork. Let me start off by saying that you should never buy art hoping it will increase in value. That is never a sure thing. There is never a guarantee that the artworks you purchase will even capture the same price you originally paid for them. So don’t buy art with a mindset that its value will increase. Instead, buy what you love or what moves you as a person and inspires you when you look at it. Art is created to lift our souls and enrich our lives. Even though art has no guarantee of becoming a gold mine, original artwork purchased from professional artists will hold a certain amount of value in most cases. It is always best to buy original art when possible. It is like buying antiques. Artwork that isn’t original is some referred to as poster art or wall art, artwork that isn’t original. This type of art can bring you a lot of enjoyment but has essentially very little to no resale value. Some may describe this as décor or reproduction art. Whatever you call it, it is essentially “copies” of original artwork that was never signed and numbered by the artist. So what is an original? An original is any one of kind or series of images the artist has approved as original artwork or copies of original artwork that the artist has approved, signed, and numbered to be reproduced a certain amount of times. Let’s start with paintings. 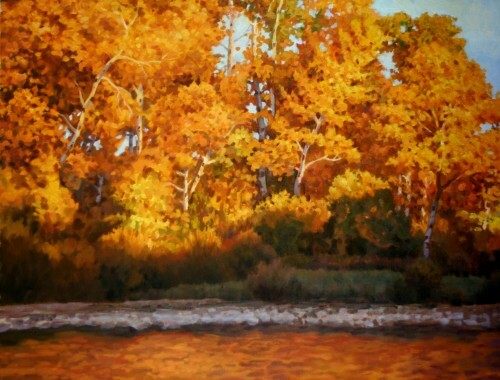 With painting originals are any artwork produced by the artist where the subject, color, and scenery is different from one painting to the next. Paintings can be somewhat similar in subject as long as it is clear that they are different from other another, each painting is a one of a kind original painting. If however the artist is painting, not printing, the same painting over and over again essentially he is creating multiple copies of the same image or an edition. Editions are the same image multiple times. Editions are still originals but demand that the artist declare the number of item in the series and how many images there are in the series in total. So you should see in the corner of any edition print, painting, sculpture or what have you the number of the item and the number of originals. It would be in a fraction like 5/250 this means you have the 5th image of a 250 image edition (each of the 250 images are original and of the same value). With paintings anything that isn’t numbered should be a one of a kind original piece of artwork. If there are multiple copies that exist of a particular painting and they aren’t identified with an edition number it is classified as wall art. They are not original. Sometimes the print market can be a little trickier. It is the same rules though generally. There are two types of prints what is referred to as original hand pulled prints and limited edition artist approved prints. Hand pulled prints are originals created by an artist that was meant to be created in multiples. They are signed and numbered by the artist. The entire series is considered original. In this category you have woodcuts, etchings, engravings and lithographic prints. Limited edition prints are created by original works of art from paintings and hand pulled prints. These are still signed and number by the original artist giving permission for these prints to be made. In this category you have limited edition prints and canvas prints. The important thing is the artist gives his signature to show these copies are approved and how many are approved. If artworks is copied and not signed or numbered then it is considered a poster, wall art, or décor art and not original or assumed to have been copied without permission of the artist is therefore an open edition copy and has no value. Open editions are the same as posters they are reproductions or copies only without any value. Any prints outside an edition are also posters or décor art. This includes artist proofs or prints outside the original number of approved print run number. This understanding this will help you the next time you visit an art gallery or outdoor art venue. As a budding artist and student I would just like to say, thank you. You have made it very clear and understandable. Can the artist paint an existing original painting called X and still call it an original with the same name? If you paint another painting you would probably want to change it enough to be an original, then you would want to change the title. If you paint more than one painting and use the same title you would need to number it as an edition. I think what Stephen means is, say you paint a copy of Vincent van Gogh “Sunflowers” and call it by the same name is is an original? Is that what you are asking? No, you need both, the first number states the number of the print in the edition and the second number declares the size of the edition itself. Can the same artist produce two originals of the same painting? We bought an original painting signed by the artist a while ago and now I saw the same exact painting on their website also signed and judging by the price, it looks like original. None of them have numbers, which means it’s not a copy. Not sure I understand this situation. Please help. Thank you. This is a good question. Paintings are a little different because an oil painting has to be created from scratch and therefore is one of a kind and only needs a signature. So they are always original even though they may be similar. The only exception would be if I was planning on painting a series of the exact same painting over and over again to create dozens or even hundreds then they should be technically numbered. This is fairly rare except with a few unscrupulous companies I am aware of or mass produced paintings from other companies. You do have to be careful in the art market. I don’t know the painting but artists sometimes produce similar paintings sometimes the viewer may not be aware of subtle changes the slight differences of the paintings or sometimes the format is changed a painting is enlarged. So the answer is yes an artist can produce two originals of the same painting. Now if he is producing dozens then that is another conversation entirely. What is it called if you have a copy of a painting done on the heavy poster board with the brush like strokes in it the poster board but it has the artists original signature on the copy? This is just a print like any other if it’s not numbered then it’s an open edition print. The signature is probably the signature from the original painting. Hi there. Looking at buying from a local artist 1 of a limited edition of 25 prints. The original is priced at 600 and the print is 120. Is there a rule of thumb for price comparison? Seems this artist has gone a factor of 5x. We are thinking the original is pretty good value and might be worth shelling out a few more bucks for it. Steven, I am not in the habit of giving purchasing advice but if I saw a painting I really enjoyed for 600.00 and a print for 125.00 I would seriously consider buying the original. There isn’t a rule of thumb comparison that I know of personally. Enjoy your new piece of art no matter which direction you decide to go. I have a question about selling prints that I have altered with pastel. I had some prints produced and due to a time limitation, didn’t have a chance to adequately colour proof them. Eventually this will be corrected. However, I do have 4 prints which I felt were too yellow. I thought to try adjusting them with pastel and was quite happy with the result. So, my question is, how do I sell this. Eventually the rest of the edition will be colour corrected. There will be 100 in the edition. So, do I number these as part of the edition? Or do I call them A/P….obviously the 4 will be somewhat different from the rest of the edition. We have a pencil sketching of “Englishman at Paris 1767, done by T.J.Bretherton. There is a notation on the left side that sates: M.V. Bunbury del. On the back is written: 395. We assume this is merely a pencil sketching of the original by Bunbury, although there are several missing items in the sketch. If so, this would be considered a print of little value, correct? Thank you. Most of the things I talk about in relation to prints are procedures and definitions from the 20th century. Once you get back before 1890 it can vary in many ways. If you are really wanting to know more about this artwork I would contact a seasoned professional appraiser and they will be able to give you a very good idea of its history and value. Either way, it sounds like a fascinating sketch. I have what I assume is a George phippen print on canvas with oil paint. It has the skull valley phippen studio sticker and a Scottsdale Arizona gallery sticker on the back. How can I get information about this. It sounds like a fascinating piece. I would try to contact the gallery whose sticker is on it or contact the George Phippen Museum in Prescott, Az and see if they might be able to help you find out more about it. It depends on the print and the photographer and the color clarity and of course, it also depends on your personal taste and preference. How do i go about this without devaluing my art – can I have ‘signed ‘ open editions of these limited editions?? ?is that weird? Am I digging a hole here? This can surely be a dilemma for artists wondering if they should make prints of their work. If you do editioned prints you can control the number of reproductions. With of course open editions they are essentially posters. It really boils down to how you feel about your branding. I think making them smaller is a good idea so as not to be confused with the other edition. Since you already have the other edition I would be tempted to make this one an open edition. I Think you are on the right track. I don’t know if that helps. Best of luck. I have an edition from Henri 358/400 is this as valuable as the original? Hello Carlos, If you need a particular image evaluated for it’s estimated or market value I would encourage you to seek out a professional appraiser. The “general rule of thumb with original prints” and original paintings, the painting will be worth more than the prints. There can be exceptions to the rule of course. This is a very informative post. It’s necessary for one to know what kind of art they are buying and what are the differences between them. Thanks for sharing this! Thank you for a v good post! I bought what a gallery claims are limited edition prints of an oil on canvas, printed by the approved printer of a deceased artist, and the prints have the artist’s signature but no edition numbers. Is that still considered an original limited edition print? Also, can the approved printer continue to print more copies, if they have the approval of foundation of the artist? This blog post covers general guidelines. There are always exceptions to the rules. For specific questions about a particular artist, you would want to seek out an art appraiser familiar with that artist’s work. Great that you share your knowledge to help out artists. I’m currently doing an ink pen drawing but want to keep the original and have a series of 10 – 20 prints (yet to decide number of prints) reproduced by a professional printer and sell the prints. I will number and sign the series 1/10 etc. Is it possible to do 2 extra prints as A/P ….. Artists Proofs… as I wanted to gift these two to family members. I read all of the above replies but still a bit unsure how to proceed as I’ve never done this before. Your advice will be greatly appreciated. Hello Judith, Sorry for the delay in responding. You can do as many “artist proofs” as you want but understand those are not part of the edition. They certainly would make great gifts. Get a magnifying glass and see if there are little dots of color or if the color is continuous. If it is continuous it is an original painting. Thank you for your helpful website. In cleaning out my recently deceased mother’s home I have found several prints of etchings by Kent Hagerman. Three of them have a pencil signature on the bottom right. The left bottom has the name of the etching in the same handwriting. There is no print number. Exactly what do I have? Thanks so much. I have to say up front I am not an art appraiser or anything like that. I am a professional visual artist with training in printmaking. If it isn’t editioned it’s not a part of a particular edition and the value can be affected. Now since I am not a professional appraiser I would recommend you take them to a professional to have them looked at to know exactly what it is that you have. Best of luck! Hello, I bought a limited edition print of 20 but when I recieved it it wasn’t signed 19/19 . I call the company where it was signed and screen printed and told me it was a mistake by the artist . They’ve sent me a new one which was signed and marked 4/20 . My question is , does the one that was mistakenly signed and numbered 19/19 worth the samen as the one marked correct? Yours is a great question! Unfortunately, I am not qualified to answer the questions. The post here contains general guidelines and I am not a qualified or accredited art appraiser. The answer is I am not entirely sure. I am sorry I couldn’t be of more help. An art appraiser would be a good place to get those questions answered. Thank you again for your comment. done on canvas with a three digit number(+673) on the back of the large wooden frame.does it qualifies as an original,an edition,or is it a reproduction? i assumed was created by a late artist named margaret (boehner) wendell huntington.her signature,is on the top left corner of the painting. i would like a real expert to clarify it for me. thank you i would truly appretiate it. written on the back of the large frame. written nowhere in the canvas or frame. I want again to clarify for the record I am not an art appraiser. I am an artist in the art world and the article is about accepted norms. For anything beyond the general idea of the article or specific questions about a particular piece, it would be necessary to contact an expert appraiser. There isn’t enough to go on with this image. The rule of thumb with art is to buy and keep what you enjoy. If you are collecting to make money it’s like the stock market or the lottery nothing is a sure thing but those that do collect for money have a team of professionals tracking the careers and marketability of specific artists and so on. For 99.9 percent of us that isn’t our paradigm. With a painting with such a low price tag with numbers that don’t specify an edition. If it were me I would assume the thing is decor art something to be kept if I liked it but otherwise I wouldn’t assume it would be worth anything. To be clear that is my speculation since I am not an expert. I hope that helps. could i take a picture off a calander and do an etching on a headstone . would it be an original? Once you start talking about using someone else’s image you are getting into copyright areas. It becomes a gray area such as can a solely created image done by an artist that was copied or plagiarized from a different source still be an original? Again now you are entering the realm of copyright and you would want to research your use of the image to make sure you are not infringing on the image’s copyright because it can end up being very costly.